Automatic double-entry accounting and financial report generation as you invoice and expense! Anytime you invoice or record expense, an automatic Journal entry happens behind the scene. You may have specific journal entry like "Owner Investment", or "Payroll Expense" that you can make using this. 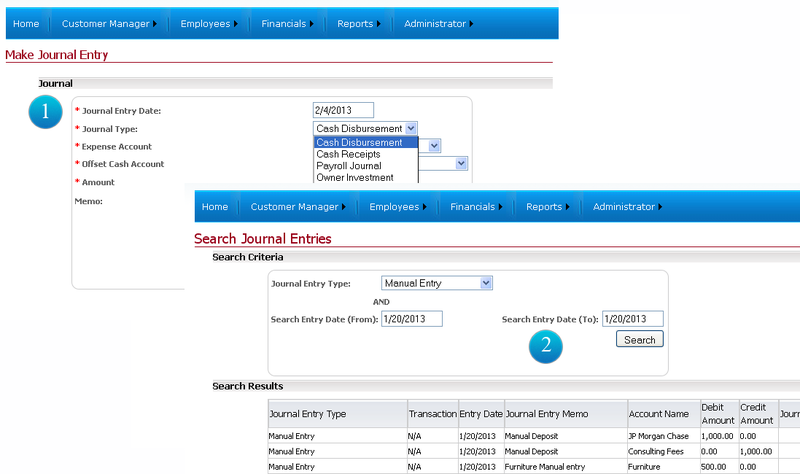 All Journals whether happening from Invoice creation, or manually entered can be searched using this screen.